When we wrote recently about the corporate travails of upgrading from Microsoft's Windows XP operating system, we were inundated with comments from readers wanting to share their experiences, from sole traders to small businesses. Smartphone stress: Are you a victim? It seems it's not only big companies such as John Lewis who are struggling with the implications of Microsoft's decision to cease support for XP from April. No more support means no more bug fixes or security patches, making these older machines more vulnerable to cyber attack and malware. While some have found the process of upgrading straightforward, others have found it expensive, irritating and time-consuming. And interestingly, it isn't the operating system itself that seems to be causing the biggest headache, it's transferring the applications that used to run on it and upgrading the servers that supported the old machines. Here's a selection of your XP stories. I work for a small charity and we recently had to find approximately £15,000 from reserves to fund a major IT upgrade due to Windows XP no longer being supported. The hardware we had did not have the RAM [Random Access Memory] or other hardware capabilities to run Windows 7. Windows 8 is designed for the consumer and was also inappropriate as an option to upgrade. Due to the head office of the charity having a contract to run a particular piece of software based upon Microsoft Dynamics 4.0, we had no choice but to upgrade to Windows 7, which meant buying completely new units. However, for organisations and individuals who do not need totally specific software and run high-end games, upgrading to Windows 7 is not necessary. I think more media attention needs to be brought to Linux [an open-source operating system] nowadays. I've tried many platforms and have found Lubuntu in particular to be a very sophisticated and extremely lightweight operating system. Even on computers with as little as 512MB of RAM the system boots, runs programs and shuts down like a bullet. Had the charity I work for not been under Microsoft's monopoly due to this one mandatory piece of software, we would have certainly installed Linux on our hardware as opposed to spending £15,000 of reserves which we should not really be touching. On upgrading, we found that all XP applications for which we had original CDs ran OK, apart from the help files in those applications that are in a different format and we can´t make them run. Upgrading the software merely to be Windows 8.1 "happy" seems like a pure waste of money, so we keep a machine with XP running in case we need to access help files. I'm so annoyed with Microsoft. Back in the days of DOS, we just installed that latest version and carried on. I have managed seven desktop refreshes over the last three years. 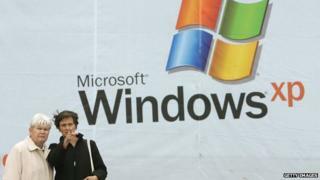 Microsoft stated that at least 18 months should be planned in advance before even starting. Application discovery, remediation and the successful deployment of SCCM [System Centre Configuration Manager] 2012 is needed in advance before users can get a new Windows 7 PC. Companies who have this in place will see a seamless refresh. However, large public bodies don't have this and will spend millions of taxpayers' money keeping legacy applications within an XP environment. This issue will get even worse going forward as Microsoft are set to release Windows 9 (Threshold) as a beta in September 2014. Its 64-bit environment will become standard for all applications to reside on. The cost to upgrade both hardware and applications will increase and the skill sets needed to carry out a successful refresh will cost the government millions. As a consultant I see many companies panicking because of their lack of vision. Until these companies recognise the significance of IT, this issue will continue and the UK will lag behind. Bought a new laptop with Windows 8.1. Total disaster - no conversion support or tutorial, local techs could not transfer email files, system is slower than our old XP desktop. We are going to bite the bullet, scrap the machine and buy an Apple - no more Microsoft products ever. We upgraded from Windows XP to Mac OS X. Best decision ever. OS X is rock-solid, and is not a magnet for malware. I have worked at a few schools, both private and state funded. I started my career as an IT technician and I am now currently the IT manager. The update to Windows 7 is a fairly straightforward procedure - we get a number of grumbles and groans from students and staff. Now we are over a year-and-a-half into being a full Windows 7 site, I have to say there is no looking back on XP days. What most people forget is the server side of things. One of the hardest things we have found is controlling Windows 7 machines with old 2003 servers [that have] group policies which are outdated and not compatible with a lot of Windows 7 features. We have updated our server infrastructure to consist of all Server 2012 and Server 2008 [machines]. I have to tell you this makes life so much easier controlling Windows 7 machines as these are designed hand-in-hand. I overall think that with the right planning and following Microsoft and other big companies' advice, it will be a smooth transition.